Hume heads the 43 survivors (cut +8) for today’s final two rounds alongside Castlerock’s Aaron Kearney (75), Balbriggan’s Robbie Cannon (75) and Scotland’s Conor O’Neil (73) on 145. But with cut falling at eight over par, just seven strokes separate the entire field. 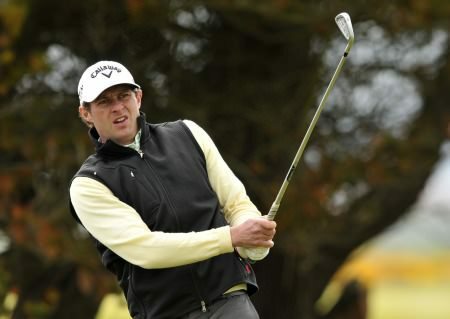 Defending champion Gavin Moynihan (73) of The Island is also in contention, four shots off the pace on five over alongside a host of Irish players including 15-year old clubmate Kevin Le Blanc. Jack Hume (Rathsallagh) pitching at the 4th green in the second round of the 2013 Irish Amateur Open Championship at The Royal Dublin Golf Club today (Saturday 11/06/2013). 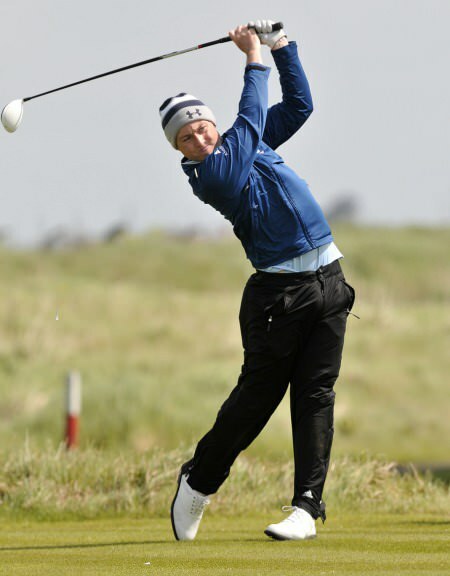 Picture by Pat Cashman1750 Jack Hume (74) has joined Scotland’s Conor O’Neil (73), Castlerock’s Aaron Kearney (75) and Balbriggan’s Robbie Cannon (75) in a share of the clubhouse lead on one over in the Irish Amateur Open at Royal Dublin. Defending champion Gavin Moynihan just four back after a 73. Looks like the cut will fall at eight or nine over par. Wide open. Aaron Kearney (Castlerock) driving at the 5th in the second round of the 2013 Irish Amateur Open Championship at The Royal Dublin Golf Club today (Saturday 11/06/2013). 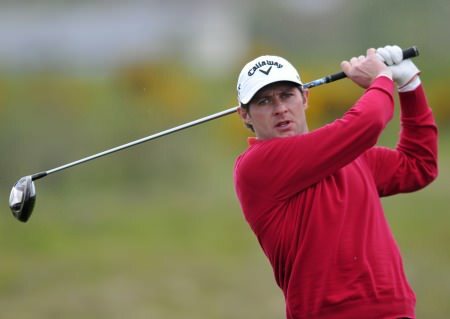 Picture by Pat CashmanCastlerock’s Aaron Kearney birdied the 18th from 12 feet for a 75 to join Balbriggan’s Robbie Cannon (75) in a share of the clubhouse lead in the Irish Amateur Open at Royal Dublin. While the wind is easing slightly for the later starters, 26-year old Kearney and 34-year old Cannon weathered the storm both physically and mentally to lead on one over par. Out on the course, Belvoir Park’s Harry Diamond and Lucan’s Richard O’Donovan turned in two under to get back to two over for the championship alongside Rathsallagh’s Jack Hume, who was three over with four holes to play. Overnight leader Graeme Robertson is four over and eight over for his second round through 14 holes. Early starters Dave O’Donovan and Sean Flanagan have posted the best rounds of the day - level par 72 to seven over 151. Click here for some action shots from today’s second round. 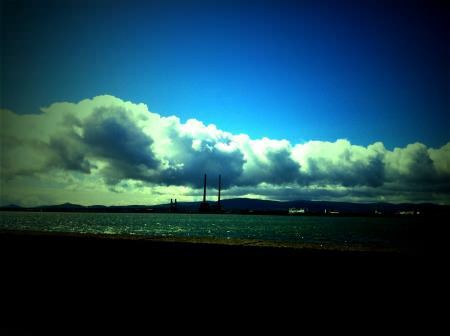 Dublin can be heaven….1424 A west wind gusting up to 30 mph, sunshine, rain, hailstones… Conditions are tough for today’s second round of the Irish Amateur Open at Royal Dublin. The GUI has again taken steps to speed up play and avoid serious carnage, pushing up 13 tees for the second day running. If he course was reduced by 419 yards yesterday, it is 434 yards shorter today, measuring “just” 6,860 yards. 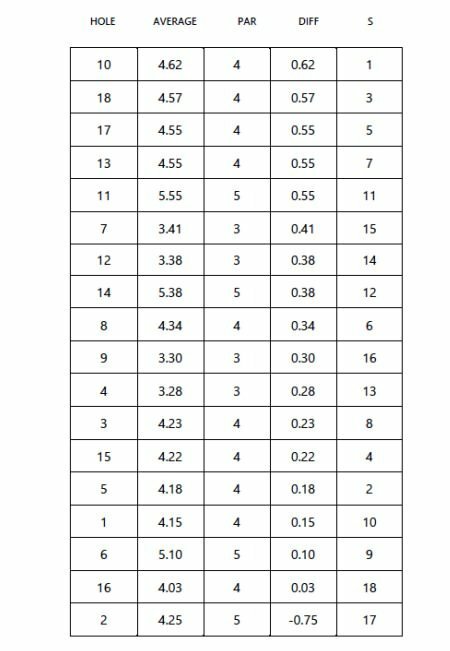 How the course played in round one. Average score 77.08Mount Wolseley’s Mark Morrissey leads in the clubhouse on four over 148 after a 73 this morning with the Island’s Kevin Le Blanc (76) and Portmarnock’s James Fox (78) on five over. County Sligo’s Sean Flanagan and Muskerry’s Dave O’Donovan have carded best-of-the-day 72s for seven over 151 with Co Sligo’s Steffan O’Hara (76) and the Island’s Paul McBride (76) on six over after a 76. 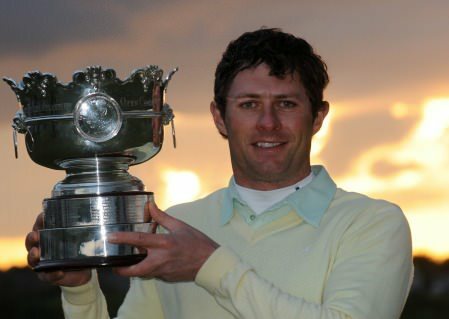 Robbie Cannon (Balbriggan) with the Irish Amateur Open Championship trophy after victory at The Royal Dublin Golf Club today (Sunday 12/06/2013). Picture by Pat CashmanSuper-fit Robbie Cannon outlasted the opposition to win the Irish Amateur Open after a four-hole play-off at a wind-lashed Royal Dublin.